Meet us at Makercon and World Maker Faire 2015! This week New York City is the city of Makers, with Makercon conference and World Maker Faire coming up on our agenda! You can begin on September 24th, with Massimo Banzi taking part to the session TECH: Cheaper, Faster, Better of Makercon (at 3.30pm local time) to discuss the future of maker development platforms – particularly microcontroller boards – and they paths toward being more powerful, less expensive, and more accessible to a broader range of Makers than ever before. On the weekend, September 26th and 27th, we’ll be joining Atmel booth in Zone 3 for the 6th annual World Maker Faire. We’ll be exhibiting some of our latest products and cool projects made with Arduino. Tom will share a few stories of makers whose work has inspired him in and out of the classroom, and discuss how their stories and motivations led to the things they’ve made. 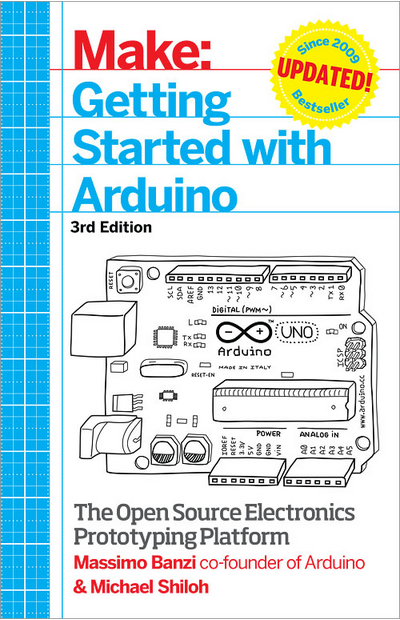 Co-author with Massimo Banzi of ‘Getting Started with Arduino’, Michael takes you through the microcontroller’s latest iterations.